This is actually an article, that i wanted to write for a long time. 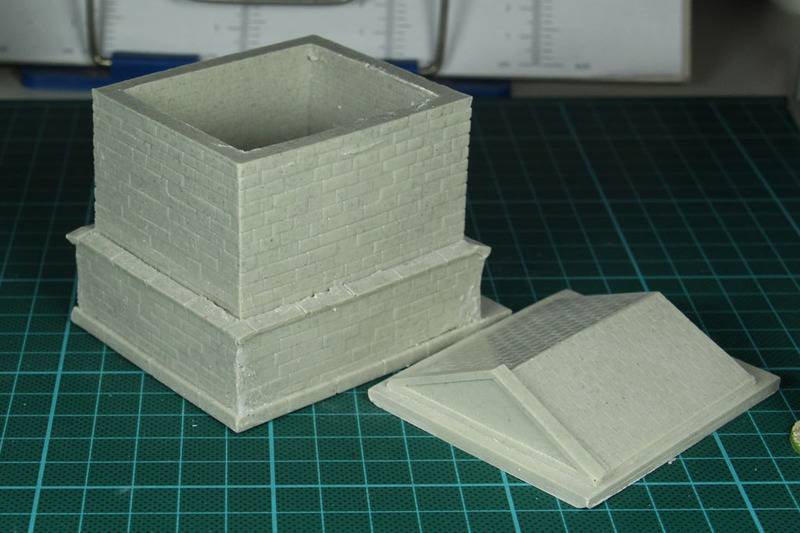 I bought some Ainsty Castings at Antwerps Crisis one or two years ago, and wanted to share my impressions with you. 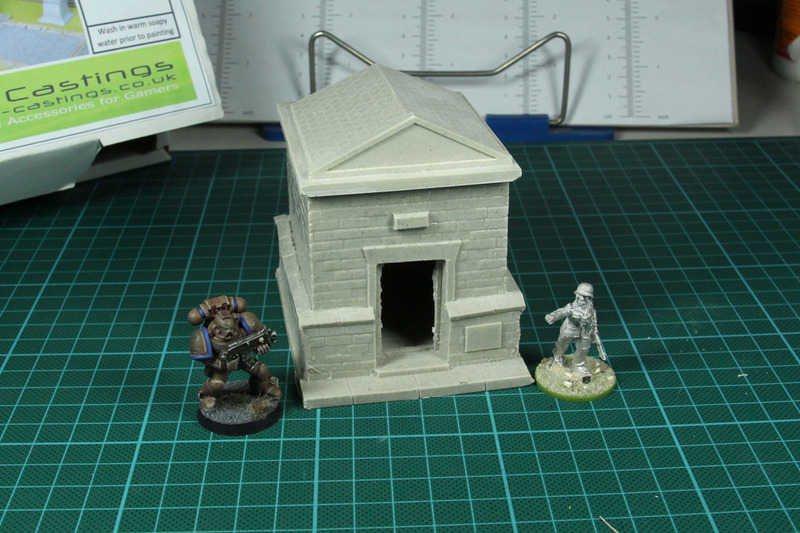 Terrain is an important part of gaming and as such i am looking for affordable / reasonably priced pieces, that can be used for several settings. 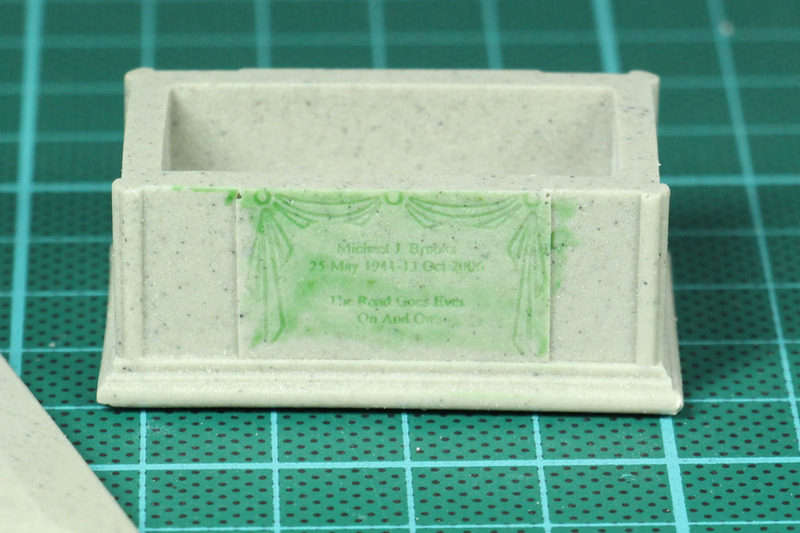 I found good prices at Ainsty Castings (was even able to get a bit of a bargain at the show) and got myself a small cemetery and a couple of boxes. 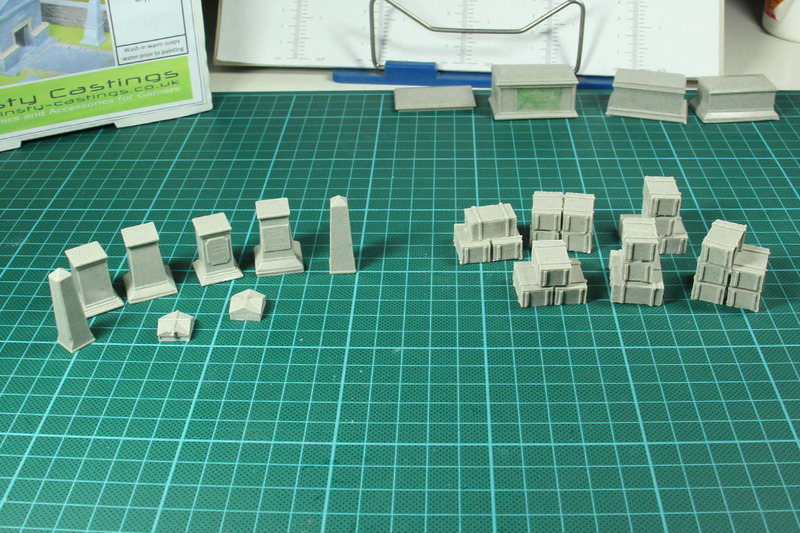 Beginning with the memorials and stacked boxes. Both blisters have a good amount of pieces in them, and around 5 pounds each. 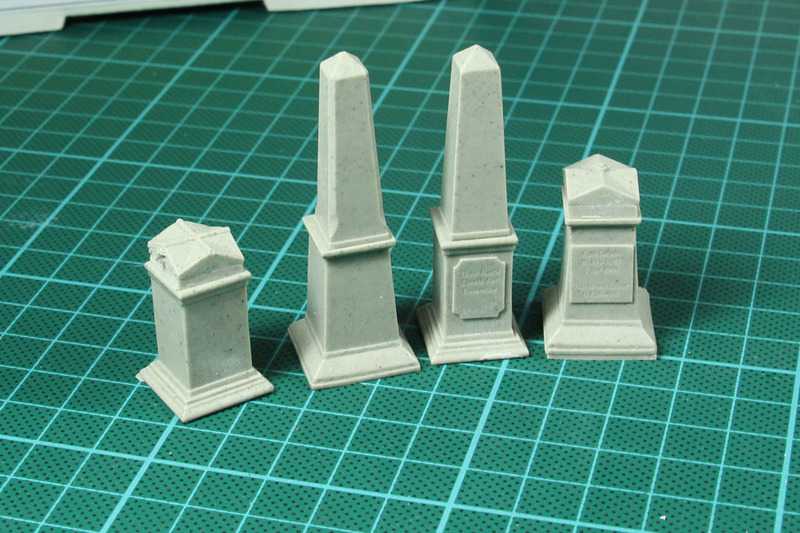 The memorials can be stacked, so they can be used as bases for statues, columns or similar. 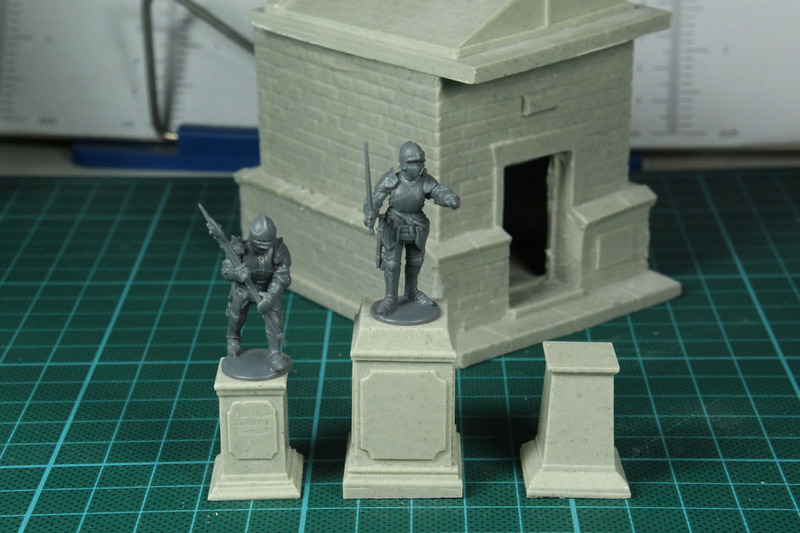 I added 28mm miniatures in matching poses to use them as statues. 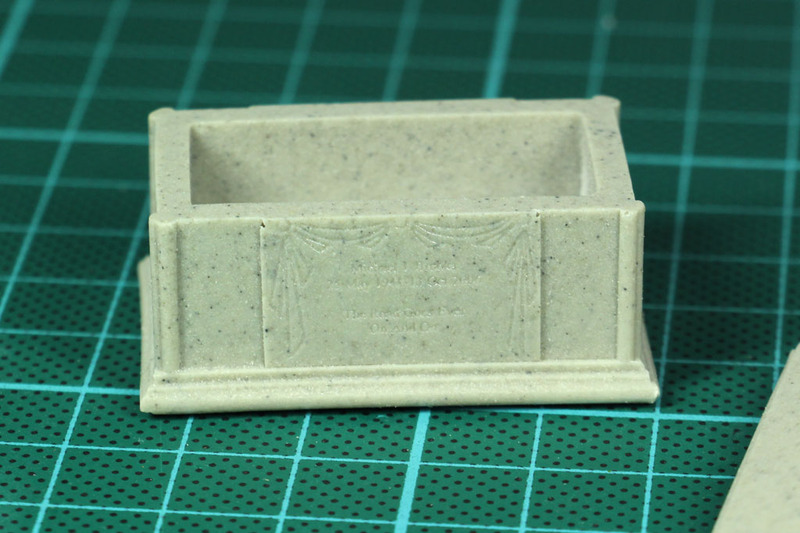 Fitting for war memorials or the cemetery and a nice addition / center piece for different epoches of gaming. The height / size of the terrain is nice and works with heroic as well as true scale. 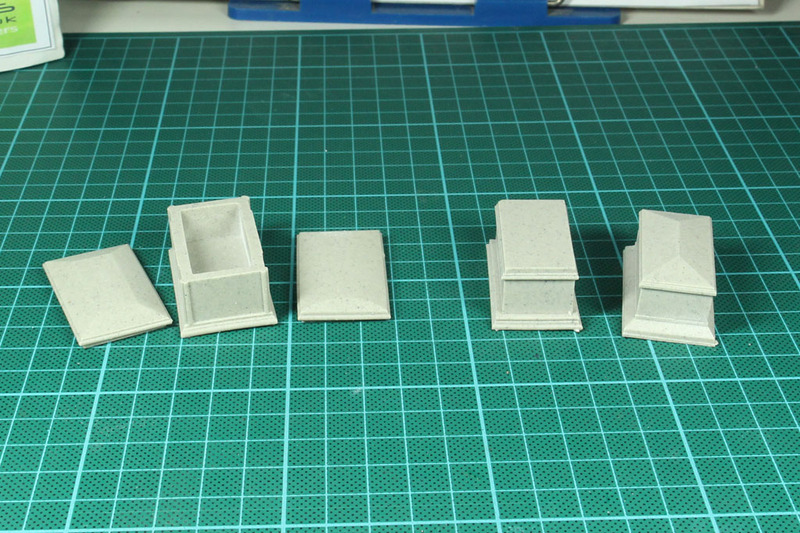 And the boxes offer proper cover as well. Of course, no cemetery would be complete without a few tombs. 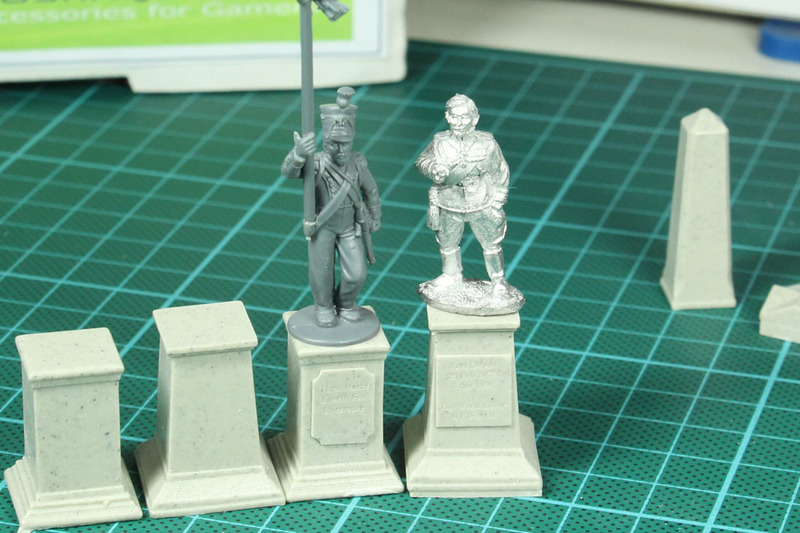 Once again, as the tops can be exchanged on some, they make a solid base for memorials, like a cavalry statue. The tombs have engraved grave stones or signs, sometimes little easter eggs. 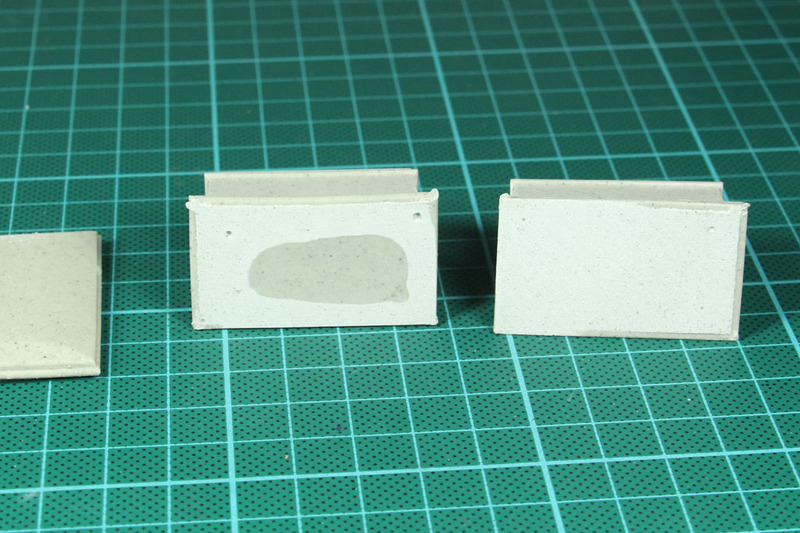 The underside of the parts are sanded to be even. 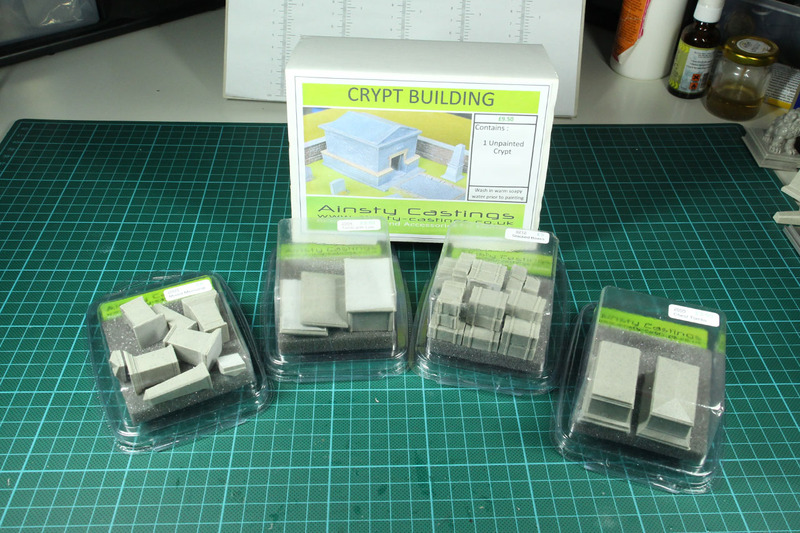 Now for the biggest part of this unboxing, the crypt. 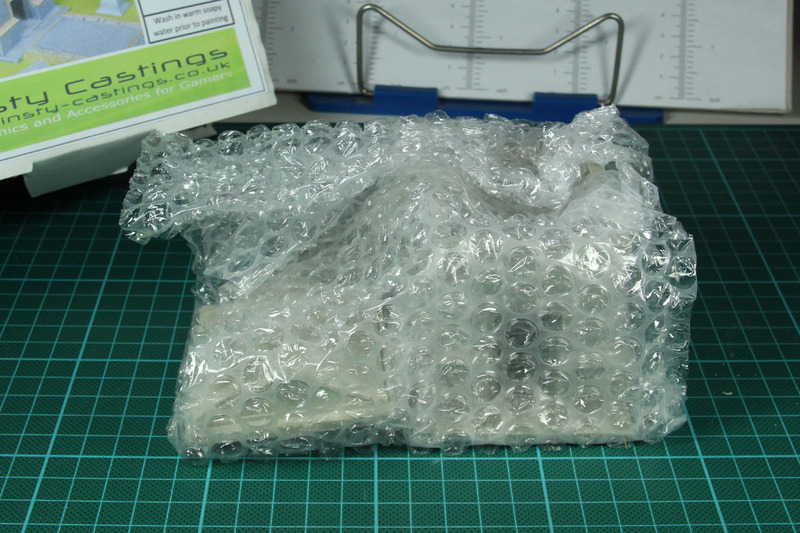 Unlike the others, not in a blister but a cardboard box with bubble wrap. 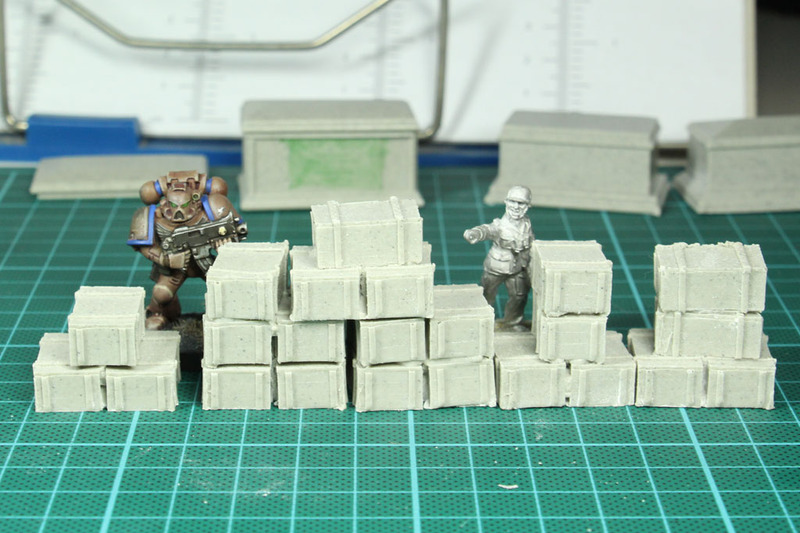 Massive walls and solid resin pieces. A bit of sanding need to level it out, but beside that, nice cast. And you pay below 10 pounds for this rather large piece. 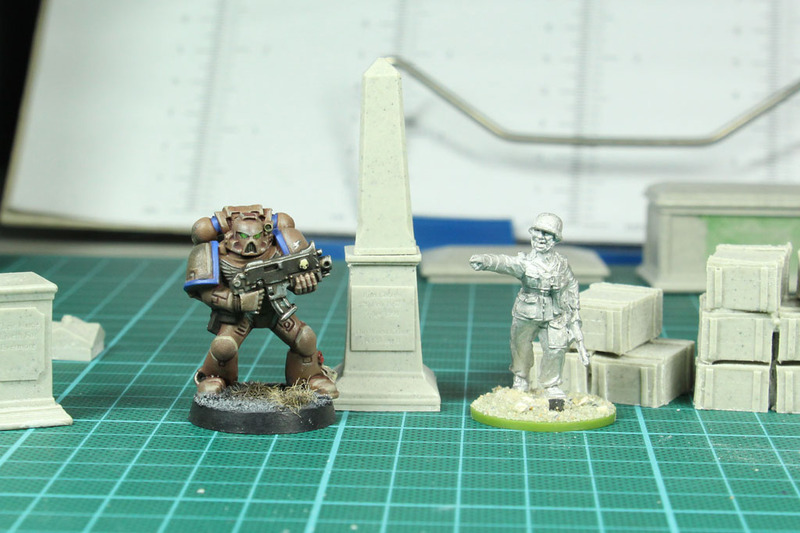 A short size comparison with a Space Marine and Otto Skorzeny. 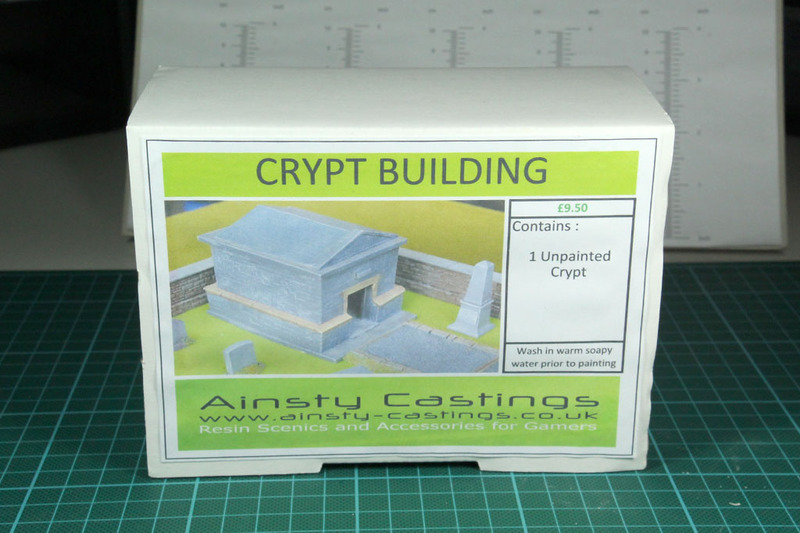 But ainsty castings has a lot more in their range, than just a cemetery. 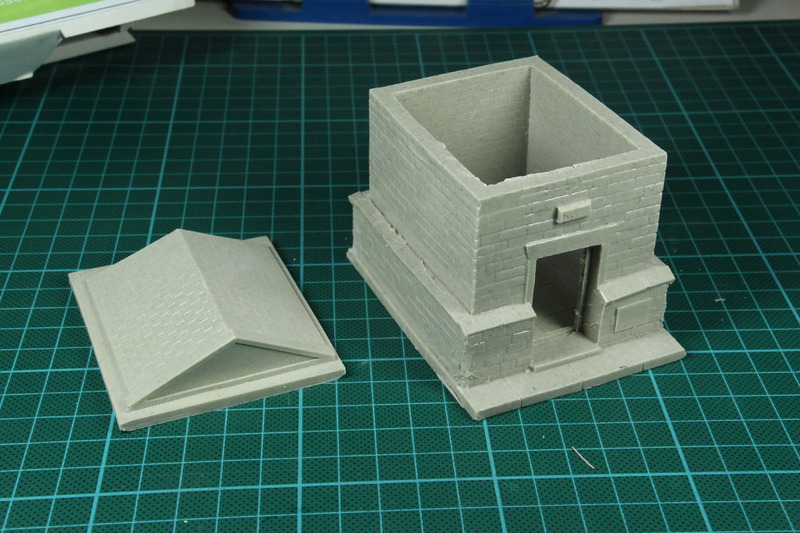 You'll find nice gadgets like a police box or these temple statues. 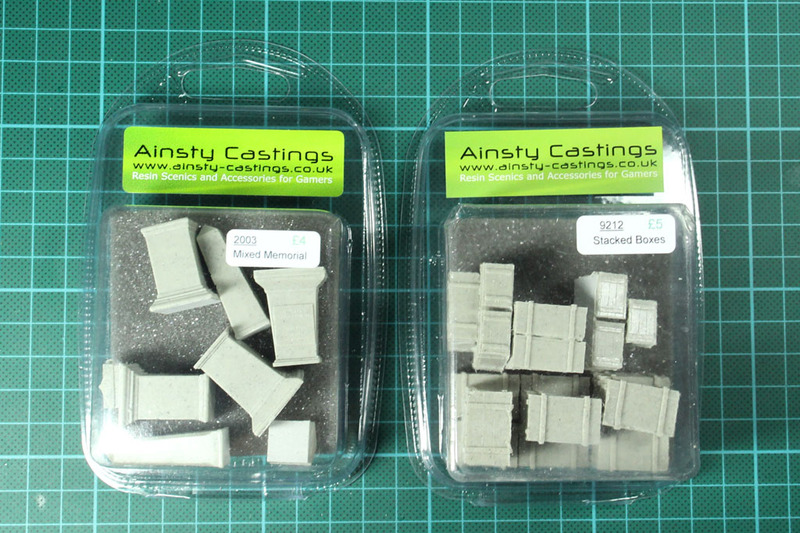 If you're looking for small up to medium sized terrain pieces at a reasonable price, Ainsty Castings is definitely worth a visit. 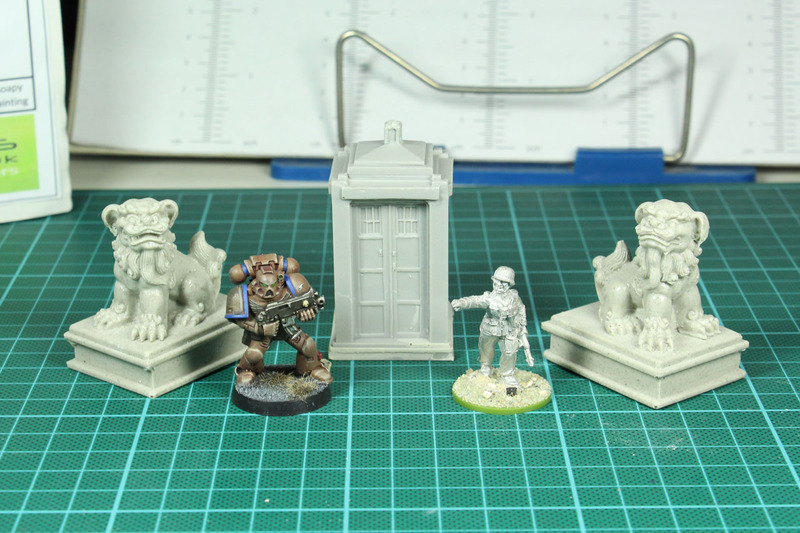 The range is broad, with historical, fantasy and sci-fi pieces. From generic fillers up to things like dungeons, blast doors or ship yards, a lot to find. 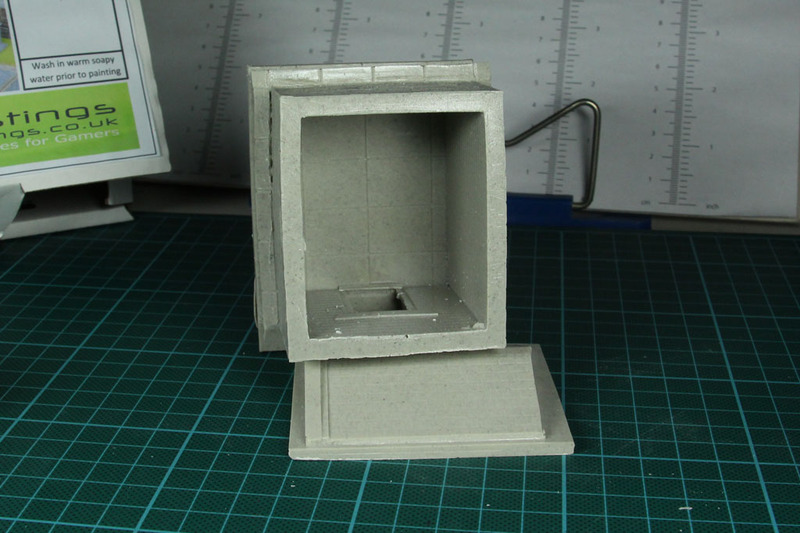 The resin is casted on a proper level with nice details. It is not oily or to slippery, but i wouldn't take the risk and handle it like any other resin and give it a good wash prior to painting it. 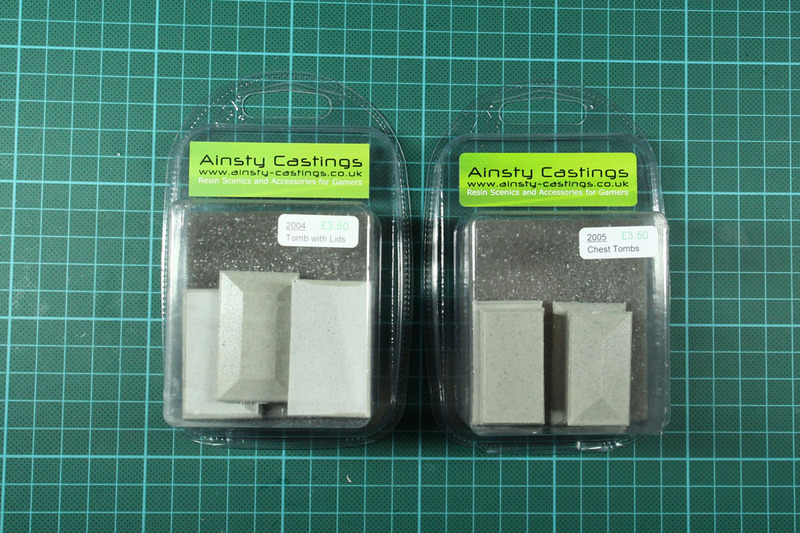 Ainsty Castings does sales from times to times and is available at many shows, so you can save a dime or two, if you're patient. I can only recommend their product lines.